Your prices are a part of your brand communications. When customers see a high price tag they receive a message, “This is worth more than other products of this type.” But a question immediately follows: “Is it worth what they’re charging?” We expect high prices to reflect the real worth of an offering, and we are often willing to spend more — but only if we know that we will receive more. Brands can be formed from this dynamic. A parent company can create different brands with different offerings that convey different messages, all presenting different perceptions of value. Old Navy, Gap and Banana Republic are all owned by Gap Inc., but the three brands are distinct. Each store sells clothing, but the value they offer is a function of both price and how those prices are justified in the minds of consumers. A luxury salon charges $150 for a cut and color. A less expensive salon charges $50. Customers at both salons expect to get good service, but the luxury salon must justify the price in some way to create an appropriate brand, spending more per customer to create an offering worth three times what the other salon charges. This perception of value is created in the mind through every facet of the communications puzzle. It should be clear to any potential customer that the luxury salon offers better equipment, superior products and a more experienced staff. Aspects of the business that might not be considered communications — a desirable location in an upscale shopping center and beautiful interior design — also convey the value of the services. Every aspect of the customer experience justifies the price tag. Any missteps shatter this perception. The price you charge and the experience you provide must be clearly defined as you develop your brand. Shoes and jeans work the same way. You can buy jeans in a wide range of prices, from a few dollars to thousands. Sneakers are no different. But you can’t just add a price tag and assume that customers will see parity between what you offer and what it costs — the value must be created in the mind. Jewelry comes in a wide range of price points. Pieces made with gold and platinum, set with real stones and pearls, can escalate into hundreds of thousands of dollars. Costume jewelry, on the other hand, can be very inexpensive. Even though the products are similar, the markets at the two ends of the spectrum are completely different. Janna loves making jewelry. She began offering her creations to friends, which quickly turned into a business. She developed a unique style and established a solid brand with a devoted customer following, crafting pieces that could be worn to even the most casual events. These pieces are largely interchangeable, giving customers the opportunity to mix and match from a wide range of stones and metals. A customer might wear five or six complimentary bracelets or combine several of her signature “gold braids” into an interesting choker. She created a brand from her nickname, Anna, a leftover from childhood when she had a hard time pronouncing the “J.” Anna’s Adornments are marketed primarily online to a young customer who values the ability to customize a look. Over time, Janna began learning more about the history of jewelry and started making more elaborate pieces from more expensive materials. This new jewelry was intended to be worn as a set – a pair of earrings, a bracelet, and a necklace made from the same materials featuring similar designs. These pieces were more appropriate to formal events. Yet it surprised her when she found that her existing customer base resisted, preferring her casual, customizable line to her historically-inspired pieces. When she sent out some online surveys, she found that price wasn’t the primary objection, it was style. Her younger customers simply weren’t interested in a more traditional look, with one exception: formal events. But her customers didn’t want to spend thousands on jewels for a big party or even a wedding. Rather than give up her new line she decided to market it under a new name, creating a different experience for customers who wanted — and who could afford — more expensive jewels. Instead of selling her new line online, she began reaching out to local retailers, asking for display space in their stores. These were high-end shops offering special occasion dresses more suited to the style and quality of the jewelry in her new line. She created a new website with a much more sophisticated look and feel. Instead of offering dozens of pieces per page she created individual pages for each set, usually including a necklace, bracelet and earrings. Each page included images that describe the historical and cultural influences that inspired the set. She also began offering personalized jewelry consultations with customers from the high-end stores that carried her line. When a new customer chose a formal dress for an event she would sit with the customer and go through the sets that work best with the gown. These consultations turned into a new loan program, allowing customers to rent her pieces for an evening or a weekend. This satisfied the needs of many of her younger customers and kept them from shopping elsewhere. She also began working with local photographers as a consultant on photo shoots. Young women, looking for head shots for online profiles and professional development, could “rent” her jewelry for a few hours while their photos were being taken. These photo shoots began working their way into her social media presence. She began using customers as models for her jewelry in her Instagram feed, which became a popular way for her to stay present in the minds of current customers. To convey the quality and history of the new brand, Janna created packaging that reflected a more expensive product, using vintage styling to craft boxes, bags and custom ribbons. Janna also produced a small catalog that was placed in each shopping bag and displayed at each retailer who carried her line. This more traditional marketing channel appeals to an older clientele who shops less online than their younger counterparts. New brands can develop when an entrepreneur takes an existing product or service and adds features that are completely new. These characteristics can easily define a brand. A singular focus on a set of features can define a company and its products. If you travel from office to office offering haircuts for high-level executives who don’t have either the time or the inclination to come to a salon, you provide a fundamentally different offering than a brick-and-mortar salon with a wide range of hair, makeup and spa services where customers can spend the better part of a day. Each of these offerings requires a distinctive brand that conveys the experience. The characteristics of the services you offer determine how you communicate and establish your brand in the mind. Of course, the same thing is true for products. Even a product as simple as blue jeans can evolve. Over the last 20 years they've been dyed hundreds of shades, pre-washed and distressed to make them look well-worn, cut to make them fit more tightly or to allow greater freedom of movement, and produced in fabrics that range from organic cotton to waxed denim to synthetic blends. And, of course, these differentiating factors justify a wide range of prices. All children, in every time and culture, play with toys. When children don’t have access to toys that have been crafted or manufactured they will make their own — they might fashion a doll out of a stick or make drums from pots and pans. When Tom was developing his new toy company he began to wonder what makes toys so important and how he could improve upon mass-market products to set his brand apart from the competition. Toys do two things simultaneously: they stimulate imagination and they teach children about the world around them, allowing them to practice engaging with all kinds of people and situations, both real and imaginary. Toys allow us to explore possibilities and make mistakes without suffering real consequences. But different children have different needs, and one child may love a toy that another dislikes. Tom decided that highly customized toys could more deeply engage children and open up new opportunities in the marketplace. He decided to purchase a 3D printing system and find ways to utilize single-item manufacturing in the toy industry. Tom decided not only to create new products, but also to find new ways for toys to engage the mind, advancing both learning and play. Children are fearless artists. They draw family members, animals, monsters and heroes that the world has never seen before. Tom offered to take these drawings and render them as 3-D sculptures. Parents submit a child’s drawing, then Tom's team digitizes the artwork and turns it into a relief sculpture which can be printed in a wide range of colored plastics. The finished relief can either be hung on the wall or magnetized for placing on the refrigerator. Characters from kids' drawings can also be turned into freestanding sculpture. These one-of-a-kind figures can be rendered with movable parts. As a result, children are no longer limited to mass-market dolls created by corporations, adhering to preconceived social standards of "beauty" — they can produce their own dolls and action figures to play out imaginary scenarios of their choosing. Puzzles can be customized the same way. Once a sculpture is designed, it can be rendered with interlocking pieces. This process creates unique three-dimensional puzzles offering many degrees of complexity. Could 3D printing help children who don’t feel represented by mass market dolls? For example, a child with a physical disability might want a doll that looks more like herself. Could figures created to look like people who have passed away help small children work through the grief of losing a loved one? What about pets? Would a small statue of a beloved dog help a child process grief? Does a three-dimensional representation work like a photograph, or does it affect the mind differently? Could dolls created to look like a parent help diminish separation anxiety for children of military families facing long deployments? Could these types of dolls also help psychologists communicate more effectively with their patients? Can it help a child get through a traumatic experience? Tom also began reaching out to experts in the field of cognition to discover new ways for custom toys to help teachers work with children with a wide range of intellectual disabilities. 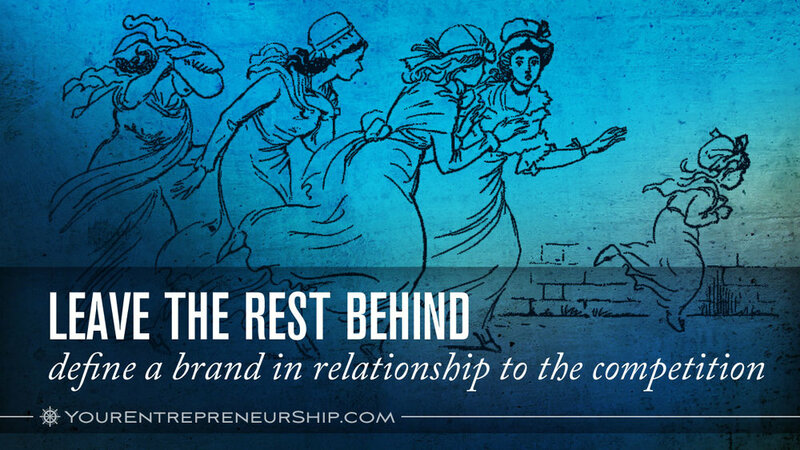 What kinds of relationships are you offering as part of your business? A $10-per-cut salon isn’t going to spend time and effort developing the kind of rapport that will keep the same customer coming back for years — it’s just not profitable. But a more luxurious salon, charging $150 for a cut and color, would benefit from developing much deeper relationships and maintaining a steady clientele. The same thing is true for blue jeans and sneakers. A sporting goods store that sells thousands of pairs of jeans and shoes at razor-thin margins must work at the side of the communications spectrum that reaches tens of thousands of potential customers. But a store that sells very limited runs of name-brand athletic shoes aimed at collectors should work hard to maintain close relationships with that targeted customer base. Long-term relationships can be built in hundreds of ways. A salon owner can give clients the ability to schedule appoinements through a secure web page, log customer preferences, send out appointment reminders, call to ask about customers that haven’t been in for a while, offer new product samples, train stylists on how to build relationships, give small gifts during the holiday season, reward customers who bring in their friends, and so on. The type of relationships you create with your customers can strongly influence the brand you create for your business. If long-term relationships are the key to your profitability, that part of your offering must be clearly communicated in your brand. Babysitters, maids, personal assistants, stylists, personal shoppers, organizers, dog walkers, caterers and personal chefs — many of us have to hire help in one form or another at some point. But the prospect of interviewing, hiring, evaluating, instructing and retaining temporary assistants can be daunting, and we often don’t know whether we’ve selected the right people until the work has been completed. Once hired, we must keep tabs on the work being done to evaluate performance. Of course, issues arise — the babysitter comes down with a cold or we find out the dog walker spends most of her time sitting in the park and talking on the phone while the dogs are tied to a fence. Good relationships are hard to come by. And if we discover a problem, we have to go through the uncomfortable task of firing someone we’ve come to know. Harry decided to solve this problem, aggregating the entire process and all of these complex interactions into a single relationship with his company — Harry’s Helpers. He created an online hub for all kinds of temporary help, offering prescreened service providers a place to present their qualifications. Harry made himself the contact person, rather than just create an online portal. If a difficulty arose — anything from a scheduling conflict to a helper who did not perform as advertised — Harry quickly found a new service provider to replace the first. Person-to-person contact became the focal point for Harry’s brand, as most online services of this type rely solely on user reviews, which some assume are untrustworthy. Instead, Harry made phone calls to get reviews on each person he recommended. If an employee didn’t meet his criteria he weeded them out, creating confidence for his customers. His customers were able to offer private reviews without worrying about publicly disparaging service providers. They were more likely to be honest with him and allow him to rank helpers without creating resentment between providers and customers. Being listed with Harry also created a point of pride for service providers, for precisely this reason. This gave Harry access to all the best helpers in the area and simultaneously improved his reputation. A high-end salon is probably not going to fare well in a small town. A $10-per-cut salon that doesn’t accept appointments won’t do well in an area without foot traffic. If the market is crowded with luxury salons, a kid-friendly salon might be a welcome addition. If beards become trendy, a place where men can get a trim and a straight-razor shave may be welcomed. How you position your business is partly the result of the kind of business you want to open, but it’s also related to the market you choose to enter. This is just as true for products as it is for services. When disposable cash is readily available, high-end jeans may be a successful offering. But if hundreds of companies begin offering variations on that theme, a store may not make the kind of impact it needs to survive. Blank page entrepreneurs must employ the skill of prediction — they must to be able to peer into the future and look carefully at the present in order to choose how to present their offering and their brand. Your brand must find a niche that meets an existing need but neither copies existing businesses nor injects itself where it’s not needed. Faced with a massive food truck movement, Paul wondered how he could break out of the crowd without opening a brick-and-mortar restaurant. His offering — gourmet sandwiches, snacks and desserts — was as good or better than most, but he wanted to find a way to distinguish himself. The food truck park where he based his operations was already home to a dozen competitors. Every patron was lured in several different directions, and the jumble of competing options made it difficult to create a strong mental image in the minds of a defined customer base. He noticed that the wooden picnic tables that filled the food truck park were uncomfortable. The park also could get quite noisy, as customers with dogs and kids would choose this option over the quiet of an indoor restaurant. These factors dissuaded some customers that wanted a more comfortable atmosphere. Since trailer park customers were already dining al fresco, Paul decided to get his customers out of the trailer park and into some more picturesque surroundings. He created a section on his website to offer Paul’s Picnics. He purchased several dozen picnic baskets, each fitted with table service for four, along with everything else a customer might need — blankets, glassware, cloth napkins, and little handheld bells. In emails to his existing database he announced that, for a few dollars more, customers could place an online order and have their meal delivered to one of five downtown parks at a specified time. One or more company representatives showed up at each park prior to the lunch hour to take care of guests, setting up blankets in all the best spots and handing out orders as parties arrived. As each guest finished, the staffer “bussed the blanket” packing everything back up to take back for cleaning. Small bells were presented to each party, and could be rung when guests needed drink refills or other services. Paul invited local musicians to come to the parks and play guitar or violin music for a small stipend, along with whatever tips they could collect. The service was also offered during the winter months; customers could request an indoor picnic delivered to their offices. Defining your brand means much more than naming the company or developing the right ad. Too often, entrepreneurs create a brand in a piecemeal fashion that can confuse customers. For example, many companies are named for the founder, even though that name has no direct relationship to the offering. A founder's name can, eventually, become associated with a product, but blank page entrepreneurs don't usually have time and money to invest in the large-scale, long-term branding efforts required to achieve name recognition. and the marketplace where your business will be competing. This approach works for both products and services; companies that provide haircuts and blue jeans and sneakers can all be defined from these approaches. If you cut hair, who’s hair do you most want to cut? Men? Brides? Kids? Each of these offerings completely changes the nature of a business, and a stylist will need to communicate differently with each audience. Brides may want an exceptionally skilled hairdresser that will clear the calendar to focus attention on the big day. Men may prefer to visit a salon with wood paneled walls and televisions tuned to the sports channel. Kids will feel more comfortable in a salon filled with toys. Each of these offerings is completely different, even though the services are fundamentally the same. Products work the same way. You can offer footwear for athletes who will wear a pair on the court or collectors who won't wear them at all. You can create custom tailored jeans for a single individual or manufacture jeans in massive quantities for wide distribution. The products may be very similar, but the psychological needs of each audience are completely different, and the offering reflects that. Original artwork is expensive, which severely limits the number of available customers. Collectors may buy and sell frequently, but the average consumer has to live with a chosen piece for a long time. Our tastes change, so something that we loved once may seem less attractive in the future. If we redecorate, the art may not fit well in the new room. If we move, the new house may not provide a good place for the art to hang. This is how, over the long term, an expensive piece of art may end up in the attic. All of these objections come into play when customers are standing in front of a painting they love but won't spend several thousand dollars to own. These consequences don’t reflect the love people have for art; they come from the long-term cost of ownership. Andrew, a local gallery owner, decided to create an innovative program that would overcome these objections and allow middle-class art lovers to become long-term customers. He developed Andrew’s Art Arrangement — a unique program that gives customers the opportunity to “rent” artwork for a few months at a time. A customer creates a plan for hosting some number of pieces of original artwork for a specified period of time. For example, a family may choose to have a sculpture in the entry hall, a painting to hang over the fireplace in the study and another painting to hang over the couch in the living room. They might choose a three-piece plan that allows them to keep pieces of original art in their home for three months. A gallery assistant visits the location to get a sense of the interior design, take photos, and interview the customer to discuss his aesthetic preferences. The assistant also measures the spaces where the art will be placed. The assistant returns to the gallery and, using photos of the spaces, creates mockups using selected pieces from the gallery’s collection, showing how they will look once installed. These mockups are emailed to the client. Once approved, the selected artwork is delivered to the home and hung by professional handlers. For an additional charge, lighting can also be installed to better present the work. Detailed biographies and portfolios for the artists are supplied when new art is delivered. This gives customers a chance to learn more about the pieces while providing exposure for the artist. After three months, the artwork is returned to the gallery and new pieces are delivered. A customer can, at any time, chose to purchase the artwork and keep it permanently. The contract is renewed each time the period ends, and customers can choose to discontinue the program at any time. A record is kept of the customer’s preferences. These profiles are refined over time to better equip the gallery assistant when selecting new pieces. Customers also purchase a mandatory insurance policy to cover the cost of the art in case of damage. In addition to paintings, Andrew decided to offer sculpture and large-scale installations for customers — including businesses — with larger spaces. Of course, Andrew began marketing this program by reaching out to interior designers and offering them a commission on program enrollment. He also began offering invitation-only parties for clients enrolled in the program where he would show the works of new artists and familiarize customers with pieces that they could include in the rotation.